Good Saturday morning to all my peeps. Hope y’all are enjoying this beautiful weekend. 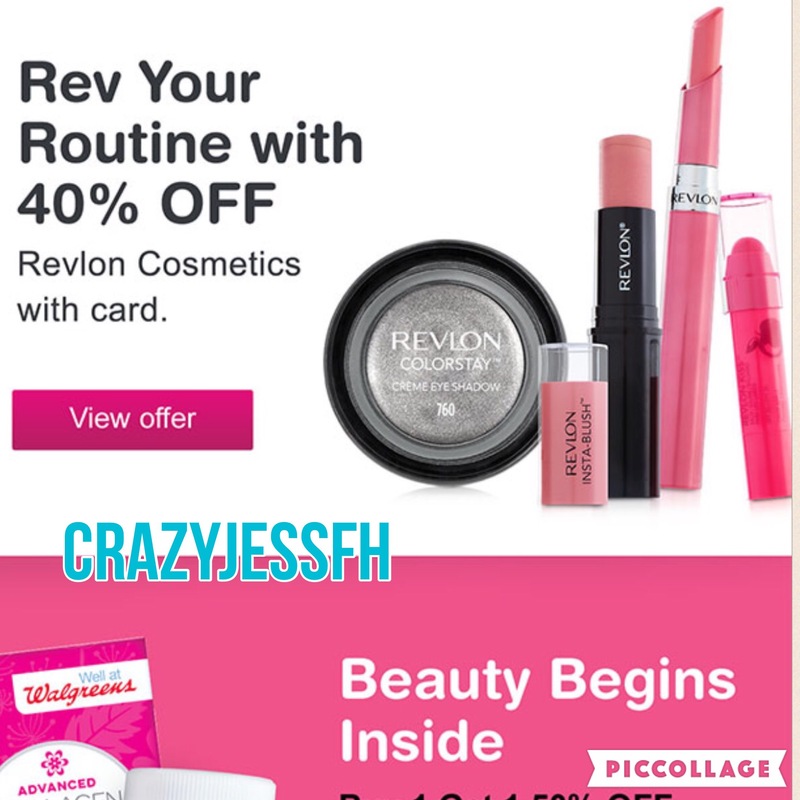 Just wanted to let all my beauty obsessed people know that April 2nd-8th all Revlon cosmetics will be 40% off at Walgreens!!! That’s a great time to grab your coupons and head to your local store to stock up on your drugstore favorites. In my case I will be grabbing another bottle of the Revlon Photo Ready foundation and Phot Ready pressed powder…and maybe some BB cream too! Lol! 😉. Oh yeah and also really wanting to try those Cream shadows too! What are your favorite Revlon products? Comment below and let me know!